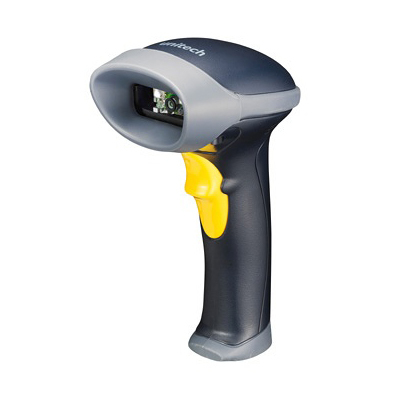 This Unitech MS842 combines efficiency, durability and reliability into a compact, lightweight handheld scanner. Supporting all common 1D and 2D barcodes, the MS842 can be used in a wide variety of markets and applications.Even the smallest high-density barcodes are fully supported with the Unitech MS842 HD option! With the seamless integration of its high-performance decoder and scan engine, the MS842 provides one of the most efficient scanning solutions in its class. It can be easily used in high demanding applications like event ticketscanning and security control, industrial shipment management, inventory management, etc. With an extended depth of field, wide scan angle and aggressive scan rate, the MS842 provides performance and reliability wherever it isused. Accidents happen in every business setting, and the MS842 is ruggedly designed to perform under adverse conditions. With its durable construction, the MS842 can even withstand a 1.8 meter drop to concrete. So, if a workerhappens to drop their scanner, they can pick it up and continue scanning without interruption. No downtime, no replacement, and no service needed. The MS842 also features an IP42-rated environmental seal against moisture and dust, and a long life trigger design that guarantees 10 million scans. Certain applications, such as medical inventory management, consist of very scan-intensive work circumstances. With the weight of just 210 grams, the MS842 is very user friendly and ideal for those tasks that require high volumescanning. The ergonomic and compact design reduces fatigue and ensures user comfort during periods of intensive scanning operations. With two operational modes, trigger mode and presentation mode, the MS842 simply allowsusers the freedom to do more. Durable rugged scanner: IP42 and 1.8 drop spec.